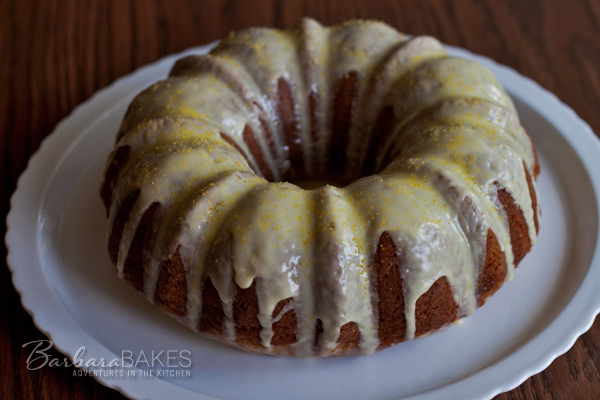 A moist, tender lemon bundt cake topped with a tart lemon glaze, loaded with peeled and grated zucchini so no one will ever no they’re eating veggies. Every year the ladies in my neighborhood get together in one of our backyards and have an end of summer party with salads and sweet treats. 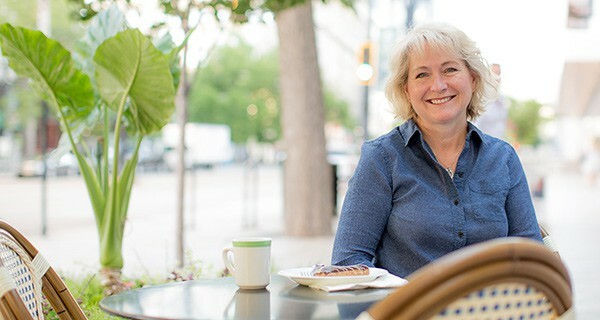 It’s a perfect time of year to just sit and chat and enjoy good food. Last summer I created a Lemon Zucchini Bread recipe. 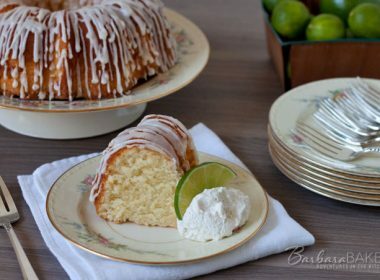 I’ve been wanting to make it again, so when I was asked to bring a bundt cake to the party, I decided to turn my Lemon Zucchini bread recipe in to a bundt cake. The bundt cake was a big hit. Everyone loved how moist and lemony it was. One neighbor even took a slice home to her zucchini hating husband because she knew he’d love the cake and wouldn’t be able to tell it had zucchini in it. If you want to hide the zucchini, be sure and peel it before you shredded it. I also gave the shredded zucchini a rough chop so that the pieces would be even smaller. 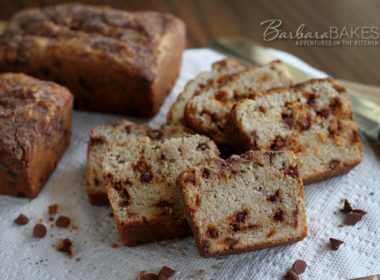 It’s not really necessary, but you definitely could not see or taste the zucchini in this cake. It just adds a tons of moisture and gives the cake some body. Preheat oven to 350°. Grease and flour 2 half size or a full size bundt pan and set aside. In large mixing bowl, mix granulated sugar and lemon zest until well combined. Beat in oil, and eggs. Mix in vanilla, and sour cream. Add dry ingredients and mix just until combine. Mix in zucchini just until combine. Divide batter between pans. 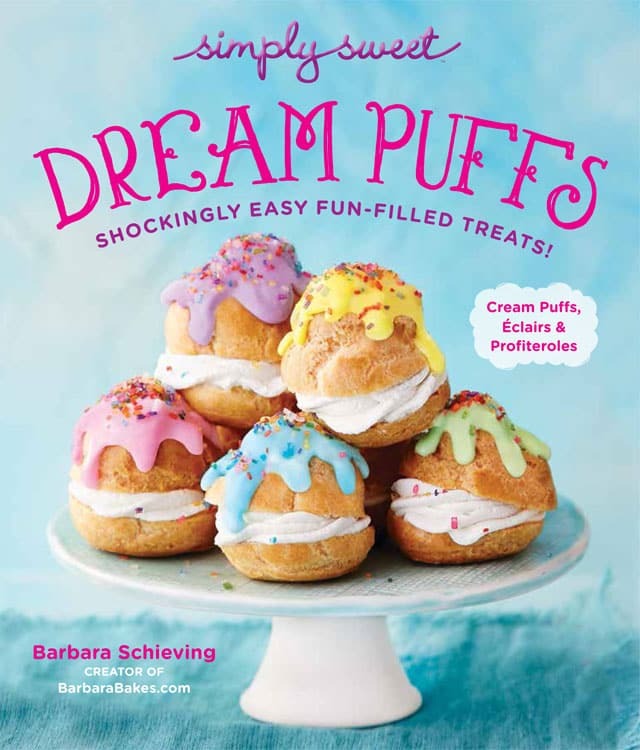 Bake half size bundts for 40 - 45 minutes; full size bundt for 55-65 minutes or until a toothpick comes out clean. I have made this several times. It is so good! I made it for work yesterday and everyone that tried it LOVED it! 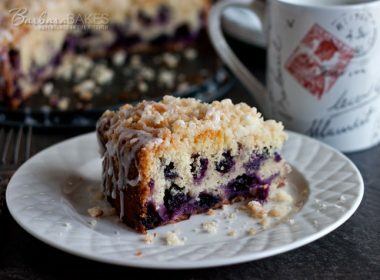 I’m planning on making this soon to bring to a barbecue later today but I’d love to add fresh blueberries (lightly dusted with flour so they don’t sink to the bottom, of course ;-). What do you think? Would this affect the outcome of the cake? Anything I should change, baking time? Or increase? What about the size of the bundt cake pan – is a 10″ big enough, with about one cup fresh blueberries added? Thanks so much for your reply and for sharing your recipes. Hi Sharleen – it should work well with adding blueberries. Lemon blueberry is one of my favorite combos. A 10 inch bundt pan or a 10 cup bundt pan? A 10 inch pan may not be big enough. 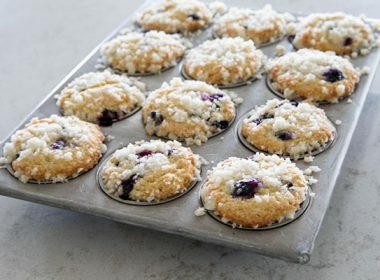 Don’t fill it more than 2/3’s full and use some muffin cups for any leftover batter. I keep meaning to try something that combines lemon with zucchini! This sounds perfect! And looks perfect! 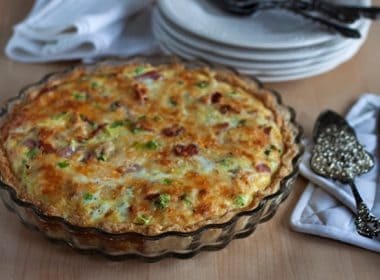 Love the idea of using lemon and zucchini together! The bundt cake looks splendid! Pinning to my cake board! it’s too pretty to have squash in it. Perfect timing. I have a gargantuan zucchini, practically the size of my arm, waiting to be used. Thanks for sharing. 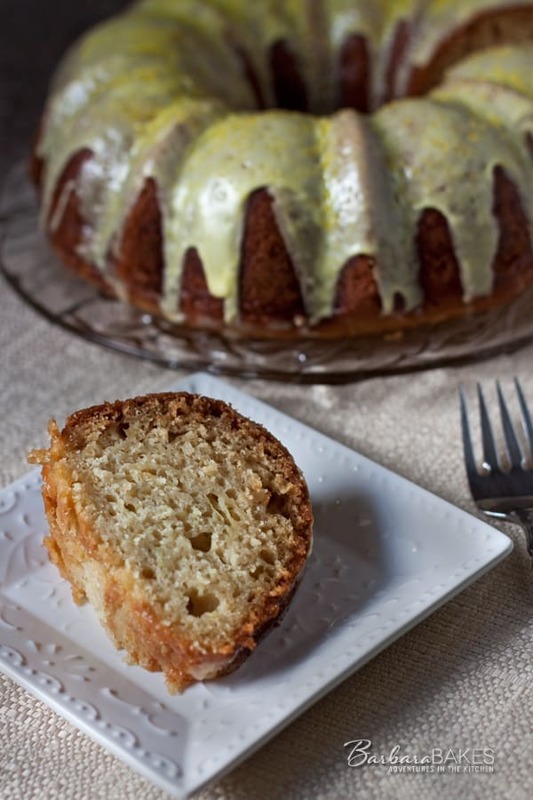 Oh my Barbara, I love the zucchini and LEMON in a bundt cake, fabulous idea! Yummy! A divine cake! It has a fabulous texture.